Article: Prom is April 6! WHEN: April 6, 2019, from 9:00 p.m. to 11:00 p.m. Grand March for seniors begins at 8:00 p.m. Grand March is a time for family and friends to honor this year’s senior class as they walk across the stage. Seniors must have a prom ticket to walk in Grand March. WHERE: Grand March is held in the Performing Art Center (PAC); Prom is in the NHS Cafeteria immediately following Grand March. WHO MAY ATTEND: Juniors and Seniors from Nettleton High School and a date may attend.Your prom date cannot be in a grade below 9thgrade and cannot be older than 20 on the day of prom. 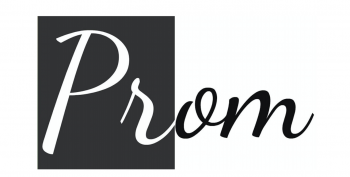 If you plan to bring a date who does not currently attend Nettleton High School, you must have their name when you purchase your prom ticket. Your date must have a picture ID to be admitted into prom. If your date does not have a picture ID, see Mrs. Smith in technology for an ID form at least one week before prom. DRESS CODE: Dresses may not expose a bare midriff or have a side slit higher than the tips of the wearer’s fingers when the wearer’s hands are at her sides. Short dresses can be no shorter than the width of a dollar bill above the top of the knee cap. Two-piece dresses/outfits are allowed provided that they do not expose any midriff, meaning the top and bottom overlap each other. Spaghetti straps and strapless are permitted as long as they fit and do not fall below the bust line. Male Attire: Young men are expected to wear formal evening attire that would include a tuxedo, suit/ sport coat with a tie, or button-up shirt and slacks with a tie. TICKETS: Prom tickets will be sold from Feb 28thto March 6thfor $10.00 each. March 7thto March 29thtickets will be $15.00 each. April 1stto April 4thtickets will be $20.00 each. All tickets must be bought in the technology office from Mrs. Smith or Mr. Carpino. Prom tickets are non-refundable. OTHER: Each person attempting to enter prom will be required to pass a breathalyzer administered by JPD before admittance to prom.